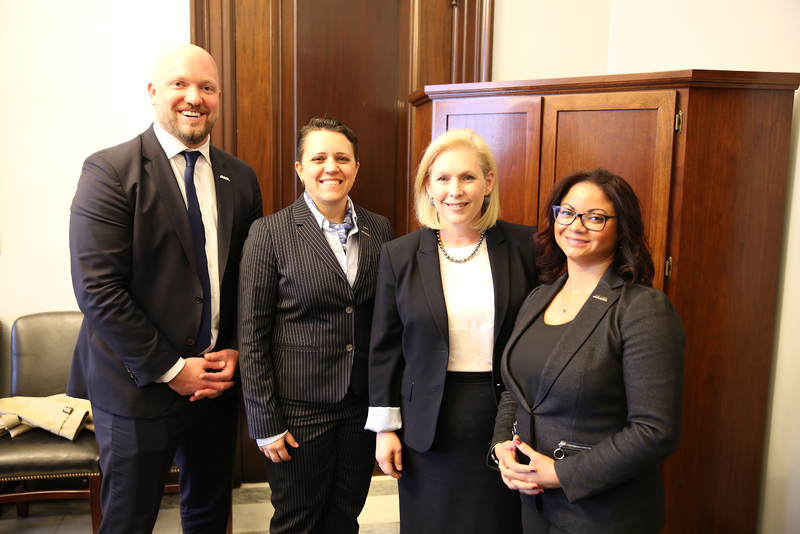 Iraq & Afghanistan Veterans of America Meet with Sen Kirsten Gillibrand in Washington D.C.
NEW YORK, NY (March 13, 2018) – Last week, Iraq and Afghanistan Veterans of America (IAVA), the largest nonprofit, nonpartisan organization representing post-9/11 veterans and their families, announced their “Big 6” 2018 advocacy priorities that are most important to them and their families. On Wednesday, IAVA members and leadership met with Senator Kirsten Gillibrand (D-NY), to discuss the effort. IAVA members attending the meeting reflect a wide range of diversity and come from across the country.